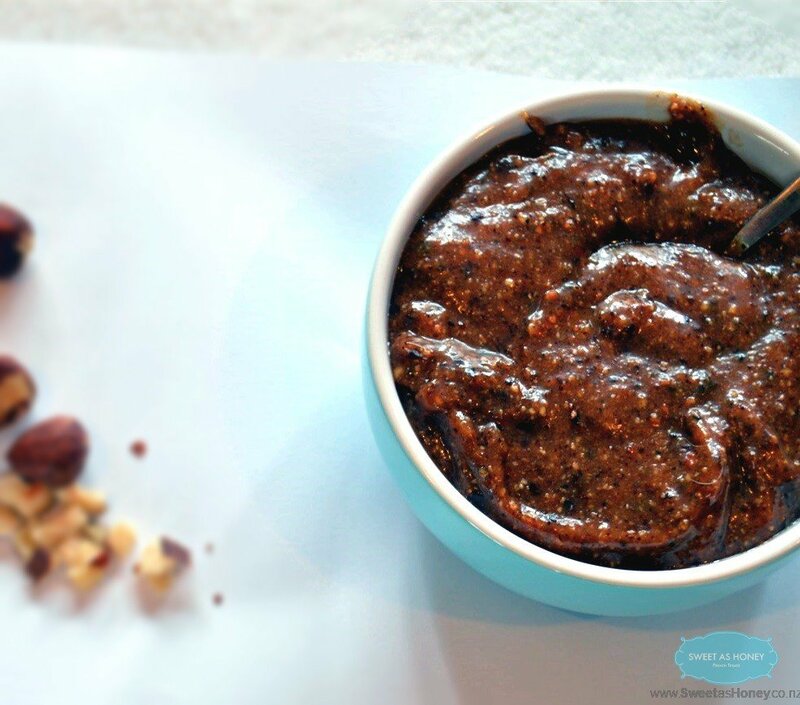 Hazelnut Praline Paste is something we use a lot in French pastry. When I was living in France, I simply bought mine from the supermarket but since I live in New Zealand I have to make my own. So here is my recipe that you will be able to use in any French eclair recipe to flavor the custard or in any other cakes calling for nut butter or nutella like my nutella muffins. The only Hazelnut Praline Paste I found in New Zealand was in a specific shop and it was really expensive. Hazelnut Praline Paste is made from a mix of nuts and sugar syrup. French pralines are a combination of almonds and caramelized sugar. 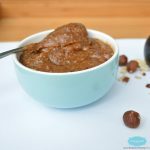 In this recipe I used hazelnuts because I need to do an hazelnut butter cream to stuff some my hazelnut macaroon and also to prepare some home made chocolate hazelnut spread for breakfast. You can also use this recipe as a gluten free breakfast spread, in any gluten free baking recipe or to flavour vanilla custard and stuff eclair like in this Hazelnut Eclair recipe. 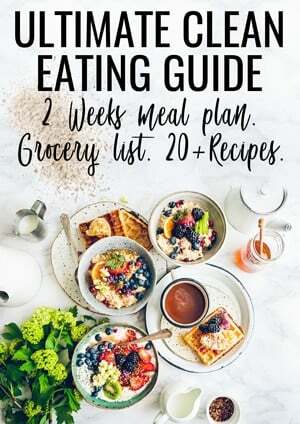 It is a pretty easy recipe. First, you caramelized nuts in your saucepan which is basically cooking the nuts into the melted sugar. Then, use a food processor to process the mixture into a powder – that is what we call pralin it French. Finally, if you want to reach the Hazelnut Praline Paste simply process more until it turns into a paste ! That is basically the same thing as making hazelnut butter – instead that here you roast the nuts in caramel before processing. It makes a sweeter paste delicious in any recipes or on a French crepe. Easy Authentic French hazelnut praline recipe. A sweet and smooth praline paste ideal to flavors custard, buttercream or simply make your on nutella. Pour the water and sugar into a saucepan. Bring to boil. When bubbles are forming on the side of the saucepan, add the raw hazelnut. The sugar will form some crystal, that is what you want. Reduce to medium heat, stir the nuts to cover them into the sugar. The sugar will dissolve slowly turning into a caramel - golden sugar syrup - after few minutes. When the caramel is formed - the sugar syrup is golden brown - remove the saucepan from heat. Pour the mixture onto a plate covered with parchment paper. Place into the fridge for 10 minutes until the caramel harden. Pour the caramelized hazelnuts into a food processor and processor on high speed until it turn into a paste - about 1-2 minutes. First you obtain a powder, then crushed nuts and finally it will turn into a paste. Store in a mason glass jar in the pantry for up to 1 month. Sugar: for a healthier recipe use coconut sugar or unrefined cane sugar of your choice. Nutrition panel is for one serving of 20 g (0.7 oz). This recipe makes 20 servings. Is it possible to use a Nuribullet in place of a food processor? I don’t own one and I’m relying on this recipe for my French project. No one seems to sell Praline spread which blows my mind! Thank you! Hello ! I am not sure as I never used a Nutribullet before. I guess it could work. Let me know if you give this a try ! Enjoy the french praline recipe. I started to make my own for the same reason, it is impossible to buy some from the store outside of France! Crazy right? XOXO Carine. Hi! I just wanted to know that what else can we use instead of hazelnut ?? I am not too sure as I did not try something else but I am pretty sure almonds will be great too. Enjoy the recipes on the blog. XOXO Carine. Happy you like it ! Enjoy the blog recipes. XOXO Carine. Hi! Thanks for the recipe, it looks amazing I cant wait to try it.